2017 has shaped the interfaith movement and clearly shown us the growing need for religious and secular pluralism and understanding. From clergy at the front lines of demonstrations against white supremacy and the drastic changes being made to the healthcare system, to community members standing against hatred through letter campaigns and fundraising, interfaith cooperation is becoming the social norm during times of flagrant injustice. Yet interfaith organizers, educators, and bridge builders can only work for more united and resilient networks when they overcome the difficult task of being radically inclusive in their own movement. We are at a moment in world history where collaboration across lines of difference is imperative to our survival. While interfaith gatherings strive for diversity and inclusion, many times they have a tendency to create homogenous and monolithic communities that have an older age bracket, show themes of a common faith and ethnicity, and possess “tokens” of minority religious community members. Although the interfaith movement is growing in number, we are not necessarily growing in inclusion. Often, both new and long existing interfaith groups do not reflect genuine diverse representation of people and communities imperative to the conversation. How often is the minority voice lost in interfaith protests against the increasing systemic oppression and discrimination against minority communities? How often are the innovative ideas younger generations are kept at arm’s length from “seasoned” activists or clergy in leadership positions? In some cases we are limited by the diversity of the context itself, but more often than not we simply don’t put enough intentionality into finding and welcoming these communities into the conversation. In order for this groundswell movement to survive the ethical crises of our time, we must gather together our diverse journeys, stories, and wisdoms as we commit ourselves to greater social action. Individuals and grassroots organizations around the world are already committed to the service required of our growing collective, but it’s time to take it to the next level and get everyone involved. Now comes a coalition bringing these conversations to the forefront. Through the co-sponsorship of numerous diverse organizations, including The Interfaith Observer, Religions for Peace-USA, Shoulder-to-Shoulder, United Religions Initiative-North America, World Congress of Faith, the Interfaith Funders Group, the International Association for Religious Freedom and multiple faith communities, Reimagining Interfaith is being planned. 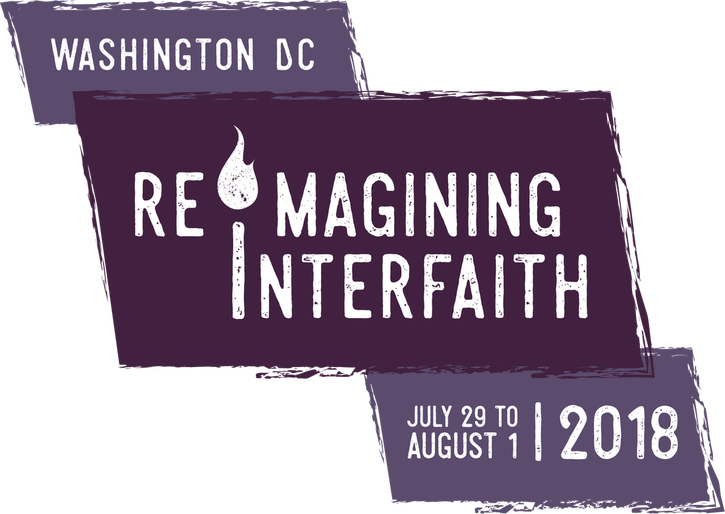 Reimagining Interfaith is an event this summer focused on skill-building, networking, and organizing for grassroot activists and interfaith peacebuilders from around the world. It aims to bring us to the point where we can truly make our global interfaith community all-encompassing. This gathering will focus on the practical aspects of interreligious and intersectional encounters and equip activists with the skills to work across lines of difference, break down barriers, and create lasting relationships. Programming will be focused on five skill-building program areas: (1) Cultivating Welcoming Communities in the Face of Discrimination; (2) Community Organizing: Initiating and Sustaining Social Change Movements; (3) Staying “Woke”: Recognizing Privilege, Challenging Systematic Oppression; (4) Interfaith Organizing in a Changing Spiritual Landscape; and (5) Making a Movement: Building Skills to Bring Interfaith to the Next Level. There will also be a track for children and blocks of time set aside for open networking, dialogue groups, cultural activities, and participant-driven programming. We need you to be a part of the courageous leadership that will make interfaith work more powerful than ever before. We need you to teach us what we may not know about how the interfaith movement can be better. We are talking to all those who have felt uncomfortable or marginalized by our movement. We are talking to those who feel called to act against injustice. We are talking to the numerous religious, spiritual, and secular adherents who deserve to speak their truth to power. And, we are talking to ourselves – the ones who need to listen, change, and empower new leaders. Visit reimagineinterfaith.org and join us in this unique opportunity!